The tell-tale signs of the holidays appear in stores around mid – July. 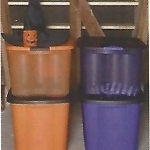 The large pumpkin planters and yard decorations litter the entrance to the grocery. The Seasonal aisle burgeons with candy and other harbingers of the holidays to come. And just like that, the holidays are here. This year, with a bit of advanced planning, you can pull off the most organized holiday season you’ve ever had! No need to do the whole year of holidays at once, organize your decorations as each holiday occurs. I know it sounds scary, but the first and most important step is to Purge. Get rid of any decorations that are broken, unwanted or never used. Only donate items that you think someone else would want. Once you’ve picked your favorites, do your magic. Turn your home into a holiday haven. Once the decorations are up, take a picture of your creations. Print the pics and save for when you are taking the decorations down. 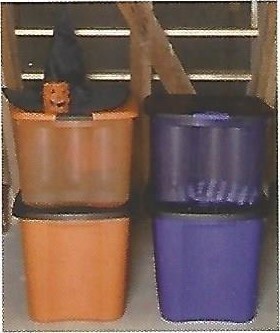 Invest in plastic totes to store your decorations in. You can stock up on these pre- or post-season for better deals. Make sure the totes you choose are portable from where they are stored. A good rule of thumb is if your kids can carry them, then they are perfect. I like transparent totes, so I can see the contents of the box. But you may prefer using color-coded tubs for easier recognition. For example, using orange for Halloween, green for Christmas, pastel for Easter. You get the idea. Label your totes on at least two sides for easier identification. If your totes are transparent, you can label them from the inside. 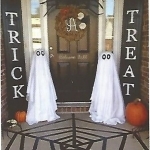 Utilizing a sheet a paper, you can label or draw the holiday contents and tape it to the inside. Now, once you’ve labeled your totes, don’t be tempted to use them for other projects when they are empty! When it’s time to take the decorations down, do a final purge. You’ll thank yourself next year, trust me. 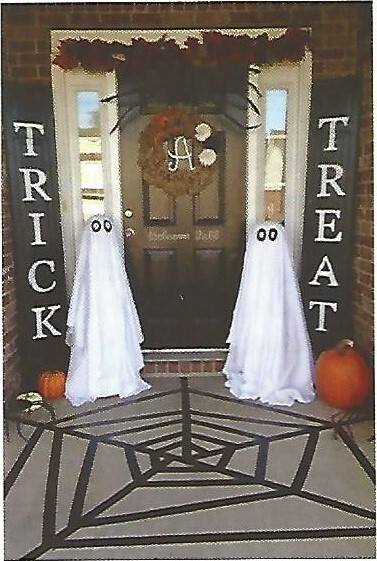 Then you have packed your totes, put the pictures you took of your decorations in the corresponding totes. This will act as an inventory list and reminder of your creative work. Treat Yourself! You have scarily organized your holiday decorations for years to come.